The Loukoumi Make A Difference Foundation will host its Third Annual Dance Party and Make A Difference Awards on Friday, June 23rd from 6-10PM at the Lake Isle Country Club in Eastchester, NY. 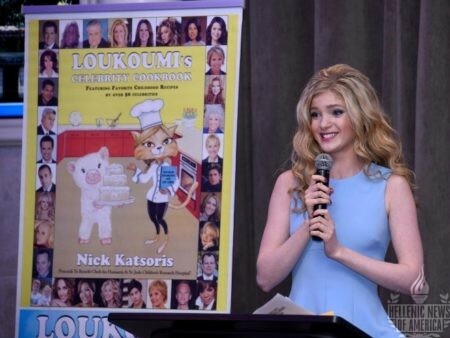 Each year the non-profit organization unites over 50,000 children and adults across the country to do good deeds – a project that began in 2009 with the release of the children’s book, Loukoumi’s Good Deeds narrated on CD by Jennifer Aniston. What started as a simple message has become a Loukoumi Good Deed Movement. The Make A Difference With Loukoumi Program received its inspiration from National Make A Difference Day and its sponsor TEGNA, which is why it is so fitting for TEGNA to be the recipient of this year’s Loukoumi Foundation Inspiration Award. At the upcoming event The Foundation will also honor many children and organizations that inspired others to make a difference. 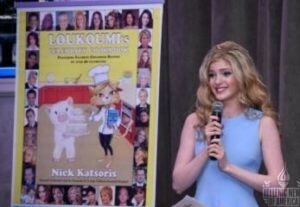 Special guests will include Film and Broadway Actress Elena Kampouris, Celebrity Chef Maria Loi, TV star Timothy Colombos and others. The Dance Party will feature a DJ, great food and drinks for all ages and a visit from Loukoumi. A Dream Day silent auction will feature a private cooking lesson with Celebrity Chef Maria Loi, a tasting menu for 6 at her restaurant Loi Estiatorio, vacations to Hawaii and Disney World, autographed items from The Lion King, Star Wars, Taylor Swift, Adele and others, sports items from the Mets, Giants and Jets including limited edition NY Giants and NY Jets footballs signed by the 2016 teams, an Actor’s Garage acting lesson with coach Ann Graf and more. Plus The Loukoumi Foundation will be awarding one child in attendance with their career Dream Day! To enter send your child’s cell phone video, 30 seconds or less recorded in horizontal format, to Loukoumi @aol.com by May 30 saying what they want to be when they grow up and why. Past winners of the Loukoumi Dream Day Contest have watched s spaceship land on Mars from NASA, played soccer with the NY Red Bulls, cooked with celebrity chefs Cat Cora and Michael Psilakis, danced at the American Ballet Theatre and met their idol Misty Copeland, spent the day with the NYPD, Rachael Ray, the NY Giants, meteorologist Nick Gregory in the FOX-5 weather center, on the Yahoo set with Alexis Christoforous and with their favorite actress, Nathalia Ramos, at Lincoln Center. 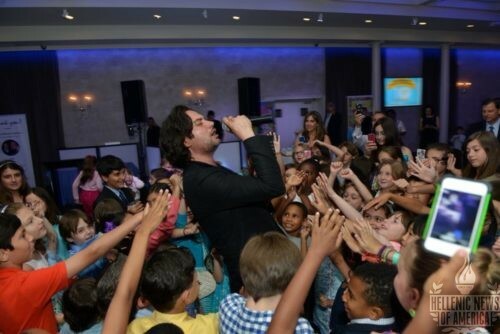 All proceeds from the June 23rd event will benefit the Loukoumi Make A Difference Foundation, a 501(c)(3) non-profit organization that teaches children to follow Loukoumi’s lead and to make a positive difference in their lives and the lives of others. 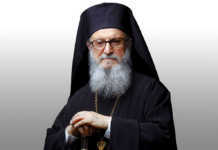 For a complete list of Make A Difference Award honorees please see below and for further information including tickets, journal ads and sponsorships please visit www.LoukoumiFoundation.org. 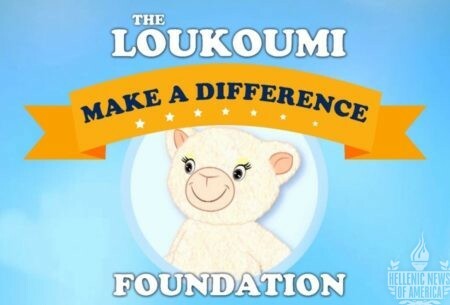 The Loukoumi Foundation unites over 50,000 children across the country on National Make A Difference Day as part of its annual Make A Difference With Loukoumi Project. 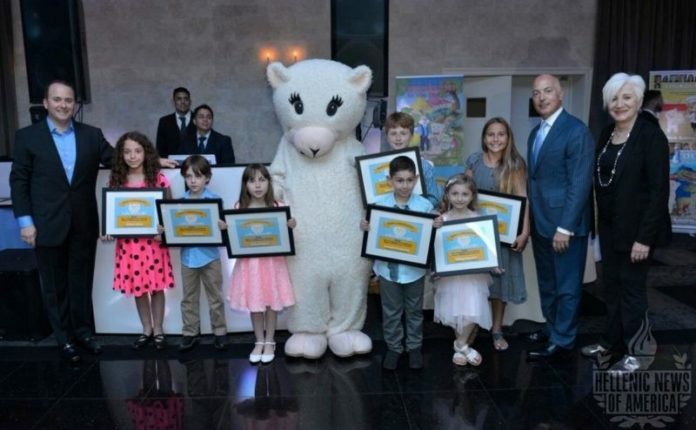 Loukoumi (the lamb character from the Loukoumi children’s book series) and author Nick Katsoris also embark on a school bus filled with children and supporters that day, uniting many of the participating organizations by visiting their good deed events. Make A Difference with Loukoumi is part of National Make A Difference Day sponsored annually by TEGNA, Points of Light and the Arby’s Foundation. The Make A Difference With Loukoumi project is the recipient of Tegna’s National Make A Difference Day All-Star Award and the 2014 National Make A Difference Award. (L-R): Nick Katsoris, Awardees, Michael Psaros and Olympia Dukakis. The Loukoumi Foundation also unites many organizations under its Make A Difference umbrella, who partook in various projects throughout the country including: The National Philoptochos Society, Kiwanis, St. Jude Children’s Research Hospital, Pacer’s National Bullying Prevention Center, Matthew McConaughey’s just keep livin’ foundation, Chefs for Humanity, The Joey Foundation, EIMAI Center for Emerging Young Leaders, The Westchester Children’s Museum, Holy Trinity Greek Orthodox Church, The Houston Food Bank, St. Basil’s Academy, Fordham University and schools nationwide including The Anne Hutchinson School in Eastchester, The Chapel School in Bronxville, The William Spyropoulos School in Flushing and many others. This month the Loukoumi Foundation teamed up with the Joey Foundation to start the Make A Difference Baseball League on the island of Jamaica. 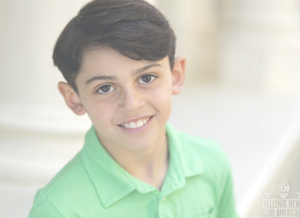 In October 2016, 13 year old Dean Katsoris had an idea to collect baseball equipment for a school on the island of Jamaica. 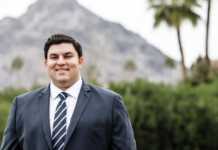 The school, which lacked the resources for a baseball program, was identified by one of the Loukoumi Foundation’s good deed partners, The Joey Foundation, who has supported this school in the past, including raising funds to build a new roof for the school. 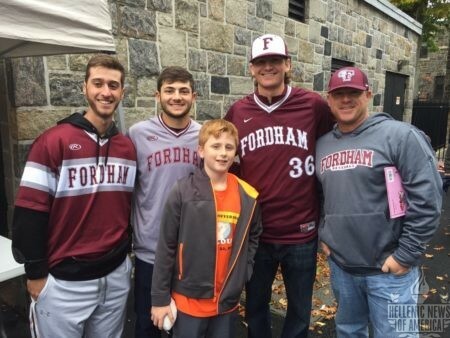 And so, on National Make A Difference Day, Loukoumi teamed up with the Fordham University Baseball team to collect baseball equipment during the Fordham/Georgetown Football game. Fordham was the second stop on the annual Loukoumi Good Deed Bus Tour. The project was so successful that enough bats and balls were collected for 6 teams and so The Loukoumi Foundation and The Joey Foundation this month launched the Make A Difference Baseball League for the Primary Schools in Hanover, Jamaica. 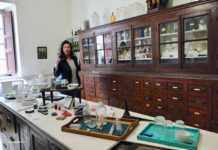 The Loukoumi Foundation has sponsored an exhibit titled Make A Difference with Loukoumi at the Westchester Children’s Museum in Rye, NY including their monthly Good Deed of the Month program on the fourth Saturday of each month. This Fall, Good Deed of the Month Clubs will also be commenced in several schools so that children can make a difference all year long. 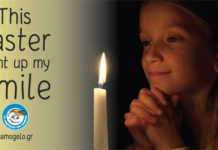 The Foundation also aired a TV Special titled Make A Difference With Loukoumi on FOX stations across the country.